Analysis and statistics of Amazon reviews of products. Dedicated to taking those products with an overwhelming number of user reviews, and giving you quick summary information on how people felt about the product overall, so you can make a quick but intelligent purchase decision. 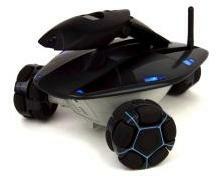 Watch video of your own home from anywhere in the world while the the Rovio mobile spy robot patrols your home automatically for you while your away. Change routes remotely with it’s easy to use graphical interface at any time. Pre-orders are being taken now for the year’s hottest consumer robot! Item: Sedu Ionic Ceramic Professional Flat Iron (1-1/2"). On the analysis board today is the Sedu Ionic Ceramic Professional Flat Iron, a popular beauty product for straightening and improving the texture of your hair. Reviews from amazon customers were very positive overall. Over 16 Amazon user reviews were examined and analyzed.